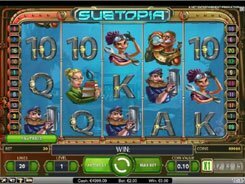 Powered by NetEnt, Cops n Robbers is a 5-reel 20 payline slot with nice graphics, cartoonish symbols and a set of basic features one can expect to see in a 5-reel machine. 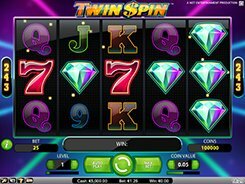 A bet you can make varies from $0.01 to as high $200 per spin, with up to $10 per line. 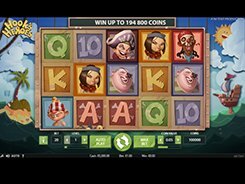 So, the slot will be suitable for both low bettors and high rollers alike. The symbols are classic playing cards (10 to Ace) and themed images such as a police car, a police man, a police woman, a safe, etc. 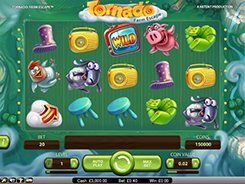 The largest jackpot prize of a stunning $100,000 is granted for rolling up five wild symbols across a payline, which in this slot is the Guard Dog. Cops n Robbers boasts two scatter symbols that trigger bonus features. 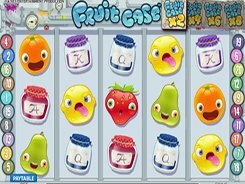 The police car scatter unlocks 15, 25 or an unbelievable 100 free spins at a x3 multiplier if three, four or five police cars appear in view. 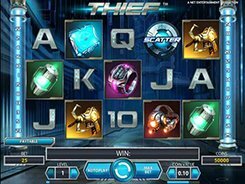 The other scatter (Police Car Light) triggers the Safecracker feature where you have to crack open three to five safes and get an instant cash award. 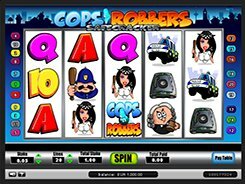 In closing, Cops n Robbers is a fun and easy to play slot with usual wilds and scatters that help you win extra cash prizes in addition to a mind-boggling $100,000 fixed jackpot. PLAY FOR REAL MONEY!